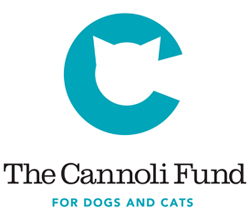 The Cannoli Fund, a 501(c)(3) nonprofit organization formed in 2011 to improve the lives of cats and dogs in Lavaca and King William, offers a wide range of programs to Lavaca residents and business owners. The Spay/Neuter Reimbursement Program reimburses (up to a set amount) those in The Cannoli Fund’s service area for having their pets spayed or neutered, in order to curb the animal population and to improve the overall well being of neighborhood cats and dogs. The Cannoli Fund will also reimburse residents for the a variety of pet healthcare services including the the cost of rabies shots, heartworm testing for dogs, and more. For all the details of the program, including how to submit a pet’s vet receipts and the current rates of reimbursement, visit the Spay/Neuter Reimbursement Program page of their website. In order to control the population of feral or community cat colonies, The Cannoli Fund loans humane traps to residents and business owners and their employees, as well as offering advice on the highly effective TNR (trap, neuter, return) method of controlling community cat populations. With TNR, cats are spayed or neutered, they receive vaccinations, and their left ear is “tipped” to show they have been fixed and vaccinated. These outdoor cats are then returned to their colonies, no longer able to reproduce. The Community Cat Carpool program shuttles groups of cats to and from low cost spay/neuter clinics, which is particularly helpful for people who work during the times the clinics are open for drop off and pickup. Cannolicare provides financial assistance to King William and Lavaca residents and business owners (and their employees, if caring for an animal found in their service area) to help pay for critical medical care for cats and dogs in their care. Types of medical care include, but are not limited to, services such as surgical or other treatment for broken bones or umbilical hernias, mange, wounds, surgery, heartworm disease, or other life-threatening illness with a positive prognosis. For those who find a pet in The Cannoli Fund’s service area, the nonprofit has a microchip scanner for use in determining if a stray dog or cat has a microchip, in order to help them find their way home. Visit the website to have a found cat or dog scanned for a microchip. La Cocina de Cannoli, or Cannoli’s Kitchen, provides pet food to individuals in the neighborhood who are caring for animals, often colonies of feral cats. Finally, Cannoli’s Canteen provides area neighbors with colorful water bowls to place along the sidewalk in front of their properties so that dogs may have frequent access to water during walks. To request a bowl, visit the Cannoli’s Canteen page of website. The Cannoli Fund’s website also contains a variety of resources including but not limited to San Antonio’s animal laws, updated information on area grants for free spay/neuter, a list of dog parks, low cost spay/neuter and wellness clinics, a list of area shelters and rescue groups, and links to information about the humane treatment of animals.